Automated Commercial Environment | Samuel Shapiro & Company, Inc. The March 31, 2016 deadline is right around the corner… Are you ready for ACE Compliance? Shapiro’s ACE FAQ guide is here to help answer your import and export questions. Is Shapiro ready for ACE? Shapiro’s programming for ACE is 100% complete and in place for ACE Entry Summary, ACE Cargo Release, and ACE DIS. Our programming for the FDA, Lacey, and NHTSA is 100% complete and we are actively participating in the FDA Pilot. We are in the process of methodically rolling out use of ACE for all entries that are eligible within Shapiro. We are taking this care to ensure that the transition to ACE for our customer’s entries is as seamless as possible. The Automated Commercial Environment (ACE) is the primary system or “single window” for the international trade community to submit import and export data to communicate with U.S. Customs and Border Protection (CBP) and other participating government agencies. CBP and the partner government agencies will use ACE to collect, track, and process required trade information. Why is ACE replacing the Automated Broker Interface (ABI)? On February 19, 2014, the President signed Executive Order 13659 on “Streamlining the Export/Import Process for American Businesses” which directs U.S. Federal agencies with a role in trade to use an electronic information exchange or “single window” for trade processing and risk management activities for goods imported to or exported from the United States. Today, there are 48 government agencies that, together, require nearly 200 different forms to process imports and exports. The current process is largely paper-based and requires information to be entered into multiple electronic systems. As a result, often the same data is submitted to multiple agencies at multiple times. The International Trade Data System (ITDS) is a government-wide initiative to eliminate these multiple paper-based processes and create a single system that will allow submission of information once to a single system. This “single window” concept will eliminate redundancy, dramatically reduce paper usage and operational costs, and facilitate faster, more efficient processing of imports and exports. What Partner Government Agencies (PGA) will be incorporated into ACE? CBP and 47 federal agencies are working together to implement the Single Window via ACE. By March 31, 2016, FDA, NHTSA, APHIS (Lacey Act) data will be transmitted in the Automated Commercial Environment. Other Partner Government Agencies (PGA) data requirements for ACE are forthcoming upon CBP completion of ACE deployment. For a full list of Partner Government Agencies incorporated into ACE, download our PGA/ACE resource. What is the ACE Secure Data Portal? The ACE Secure Data Portal is a web-based application for on-line access to the ACE system. What does the ACE Secure Portal give access to for importers? CBP Form 4647 – Notice to Mark – 30 calendar days from the date of the form. North America Free Trade Agreement (NAFTA) Certificate of Origin (NAFTA_CO). Blanket declarations must be created in the importer’s ACE Secure Data Portal account or a broker may create a declaration on behalf of the importer who does not have an ACE Portal account. Once the declaration is submitted to CBP, it cannot be deleted, but it may be cancelled. Where do I go to register for an ACE Secure Data Portal account? To establish an ACE Secure Data Portal account, visit http://www.cbp.gov/trade/automated/getting-started/using-ace-secure-data-portal. How will ACE affect AES Direct Portal for exporter? Within the coming few months, the AESDirect Portal will go live in the Automated Commercial Environment (ACE). All exporters must have an ACE account to access the new AESDirect system, to be known as Refactored AESDirect. Accounts will not transition from the existing system. The existing system is to be referred to as the legacy system so as not to confuse exporters. Legacy applications will start to be phased out and closed in the beginning of 2016. Profiles and templates will need to be recreated in the new system and SCAC/IATA look-up will not be available. Both systems will be functioning during this transition period with the legacy program functionality to be incrementally phased out. Shipments filed in the legacy application will be available for retrieval in the refactored system, however, not in the reverse. Watch CBP’s How to Request a New Account video tutorial. Fill out the ACE Export Account Online Application to create an account. 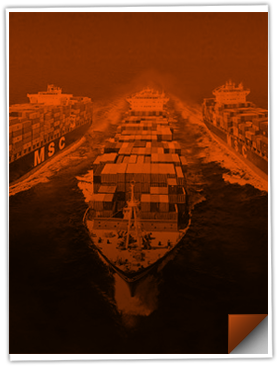 An ACE Exporter Account will provide access to AES Direct to file Electronic Export Information (EEI) and to initiate the approval process to access ACE export reports. 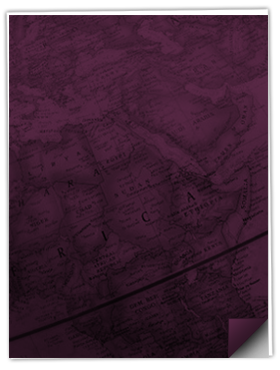 Note: Only U.S. and U.S. territory entities may apply for an ACE Exporter Account. Watch CBP’s Requesting an ACE Portal Exporter Account for Existing Users video tutorial. 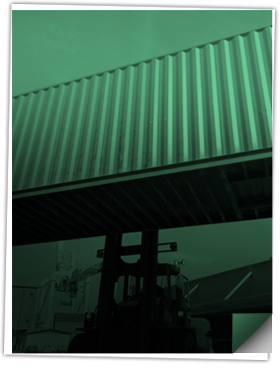 Download the Exporter Account Quick Reference Guide. The Trade Account Owner (TAO) who registers an account should be designated by the company. The “shared secret value” is your user name. Multiple EINs can be added to an account. Register with the highest level EIN and then add additional EINs to that account. Watch CBP’s Requesting Access to EIN Data for ACE Portal Export Accounts video tutorial. From your ACE account, click “Request EIN Reports Authorization”. Provide the Certificate of Authority (COA) to Census. Respond to Census verification questions within 30 days. Note: Both steps 2 and 3 MUST precede step 4. The 201 “Filer” Report returns all shipments submitted by the filer for requested date range. The 202 “USPPI” Report returns all shipments submitted by and on behalf of USPPI for requested date range. The 203 “Routed” Report returns approved data elements for routed shipments for last 5 years. What is required for U.S. Department of Transportation (DOT) declaration? The U.S. Department of Transportation (DOT), National Highway Traffic Safety Administration (NHTSA), requires a Declaration for Importation of Motor Vehicles and Motor Vehicle Equipment subject to Federal Motor Vehicle Safety, Bumper and Theft Protection Standards with the (HS-7) data elements reported electronically for commodities subject to review. Where do importers apply for APHIS permits and licenses? Importers of agricultural products will continue to apply for permits and licenses as they always have. USDA-APHIS required data elements will be reported electronically in ACE for Lacey Act declarations. Importers should ensure that the information typically provided on the PPQ form 505, and any applicable licenses and permits, are provided at the time of entry. What data elements are required for all FDA products? What data elements are required for food products requiring prior notice? What data elements are required for drugs? What data elements are required for medical devices and radiation-emitting products? What is the current ACE transition timeline? CBP will begin to offer limited Client Representative and Technical Service Desk support for ACS entries that could be filed in ACE. Priority processing will be given to ACE entries over ACS entries. FDA will continue to be allowed in ACS to allow transition. A mandatory filing date will be announced for FDA at a later time.